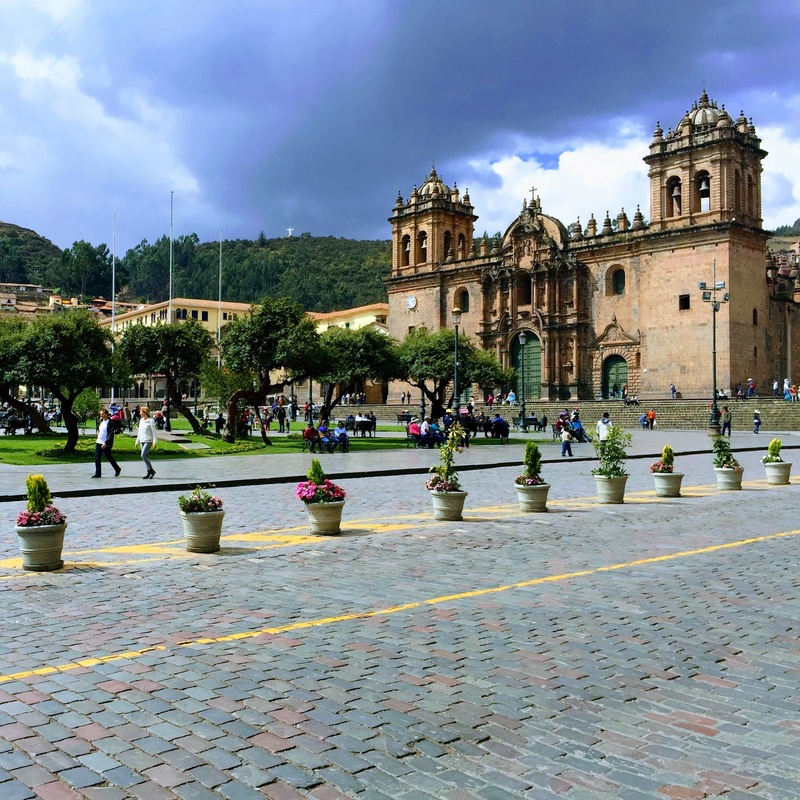 We started our trip from San Antonio - Lima (stayed the night) and then the next day flew to Cusco. We had no time to explore Lima. ADVISE: Try to book your flight straight to Cusco or stay in Lima for 1-2 days to explore and then fly out to Cusco. We got to Cusco and stayed there for 2 days. Cusco is the highest city in Peru 11,150 feet above sea level. I really had a hard time the first day to adjust. The hotel and restaurants always offer "mate de coca" which is a coke tea infusion that relieves the altitude sickness. Also, you can always buy some altitude medicine before the trip. I will be posting a Travel Guide for Cusco to go more into detail on what to do there. In Cusco, we came upon a tour agency and they assigned us a tour guide for Machu Picchu and a ride back from the train station, Ollantaytambo. The next day we took the train Peru Rail from Poroy to Aguascalientes. Make sure you print out the tickets and have the credit card you paid with or a copy of it with you. We bought the Vista Dome train from Peru Rail which is a little more expensive than the regular. They offer food and explanation in each town you pass by. I really enjoyed the ride. Make sure to take pictures of the amazing views. We booked a hotel in Aguascalientes since we wanted to take it easy and take our time. We stayed at Hotel Ferré. It was a nice hotel for being such a small town. ADVISE: There is not much to do in Aguascalientes except for Machu Picchu. If you can try to book a train for the same day, in and out that will work out better. Unless you want to go all out and stay at the Belmond Sanctuary Lodge, which is located at the entrance of Machu Picchu. It is expensive, but if you have the money, it is worth it. We hiked up from Aguascalientes. It is an hour in a half hike. It is steep, lots of stairs but it is worth it. There are buses going up and down every 5 minutes, in case you want a faster route.They cost $12 US per person one way. I do recommend doing the hike and embrace the whole experience. If so, pack light and always bring an extra sweater and umbrella. It rains often and the weather is sometimes unpredictable. Also, make sure to bring bug spray, since you will be in the middle of the jungle. We packed water and some Lara Bars for extra energy. We had the second turn which starts at noon but had to meet our tour guide up there by 11 am. We started our hike at 8:45 am so we could take our time and enjoy the hike. Here are some pictures of the hike. All you see is stairs and beautiful mountains. Once you reach the top the whole trip is worth it! The view is amazing and you just feel so much positive energy and start thinking about your existence and wanting to stay there forever! The pictures don't do it justice! You need to be there and experience it yourself! I wanted to look nice in the pictures so I went to the restroom to freshen up and swapped to my cute sweater and let my hair down. We took the tour and it is just breathtaking and so impressive how the Incas created this citadel. After the tour, we went back one more time to explore by ourselves and take more pictures. We ended taking the bus down since it started to rain and the cobble stairs seemed slippery. 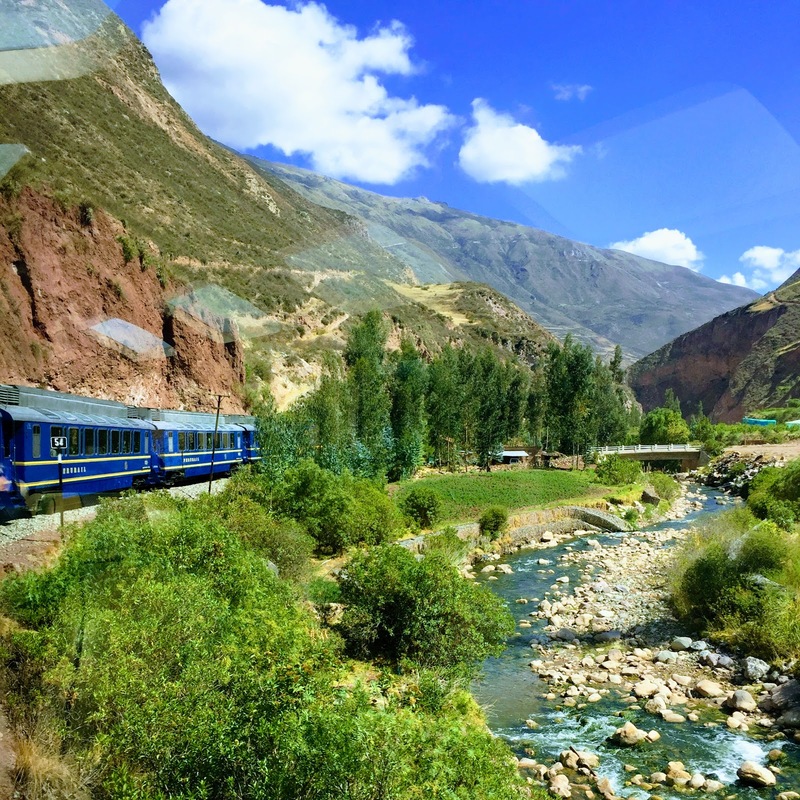 We took the 8 pm train back to Cusco, that same day. If you have any questions about the trip send me a message! I will love to help out!